It has been my “go to” breakfast/ brunch order for ages now but have never made it before. 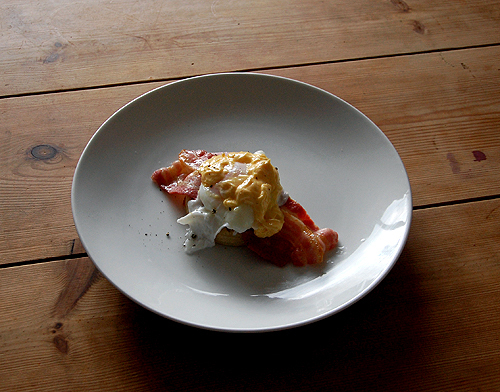 Now I can add Hollandaise sauce to my repertoire and it really isn’t as scary as you may think. Follow these instructions and you’ll be fine. 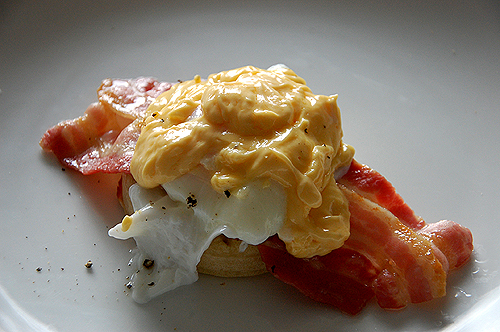 Make your Hollandaise sauce. 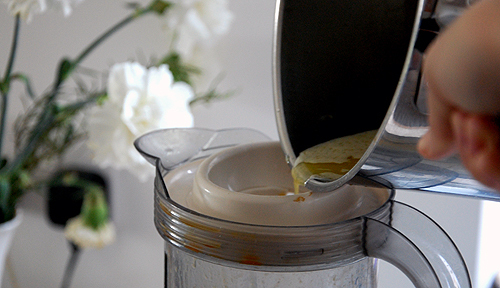 In a blender, blend the egg yolks, a pinch of salt and a little pepper for a minute on the highest setting. At this point, put your bacon under the grill and get that cooking. Boil the vinegar and lemon juice in a pan until bubbling and add to the mixture while blending, then stop. Melt your butter in a pan until it starts to foam. Then with the blender on its highest setting slowly add the butter. This should take a few minutes. When this is done pulse the mixture once more for a few seconds and you’re done. Now poach your fresh eggs and assemble the ingredients to form something that resembles the picture.